"Get Your Kicks On Route 66!" Well, you may or may not be old enough to remember that song. I know "of it," but I do not remember it, meaning I am not old enough to remember when it was popular, but old enough to say I wish I was a little younger. How about you? Do you remember the song? It's actually still quite popular on some of the "oldie stations" and a part of this famous roads history. Ok, most everyone is probably familiar with the name that this famous road holds, but just how did it get its start? Here is a little history lesson, one that you will likely enjoy. Sit back and take a ride on this famous stretch of highway. Are you ready? Jump In! Get ready to discover this historic roadside structure commonly known as the Mother Road, Mainstreet of America? It all started back in the 1800's when trails first made their appearance across the United States. It was also during this time when folks started moving from the East to the west. These trails were the forerunners to the railroad system. Later, highways followed the alignment of the railways. According to the National Historic Route 66 Federation, entrepreneurs Cyrus Avery of Tulsa, Oklahoma, and John Woodruff of Springfield, Missouri, deserve the majority of the credit for encouraging others to support the idea of an "inter regional link between Chicago and Los Angeles," which would later become the historic legend that we have come to know. Then, in the early 1900's, our government started to realize that there was a definite need for a national highway system. Legislation for public highways first appeared in 1916 and in 1925, came a more comprehensive version of the act that Congress enacted. It was also in 1925 that the government implemented this plan for national highway construction. Individuals responsible for planning the road, planned early on to connect the main streets of these smaller communities to the famous road. Researching the Wikipedia encyclopedia, I found that one of the original famous federal routes, was established on November 11, 1926, and originally ran from Chicago, Illinois, through Missouri, Kansas, Oklahoma, Texas, New Mexico, Arizona, and California, ending in Los Angeles. The total of miles, from start to finish totaled 2,448 miles. Funny enough, though, highway signs marking it as US 66 were not seen until a year later, in 1927. This was the first US road that was really worth mentioning. Previous roads were certainly nothing to brag about. There were actually eight states that formed what they called, "The Route 66 Highway Association." The purpose of the association was established so the highway would be built even faster than planned! These folks could not wait for the final product! In their eyes, the Mother Road could not be built soon enough! Soon thereafter, the them name,"Main Street of America," was adopted. It certainly seemed that the highway was needed for others than just those needing a decent road in the east that would take them to the west coast. No, there were certainly others who also expressed interest in the highway. Those individuals wanted it to conform to their needs, too. America was changing. With others in mind, US 66 was certainly not a replication of other roads that were built prior to its arrival. Route 66 was built in a diagonal fashion. This was music to the trucking industry, to say the least, as it made it easier for them, as they had become a huge competitor to the railroad industry. The unique design allowed hundreds of predominantly rural communities in Illinois, Missouri, and Kansas to Chicago to connect with the highway. This in turn allowed farmers to be able to transport grain and produce for redistribution. It was especially popular during the Dust Bowl of the 1930's and truly kept the economies of those communities alive, at least for those through which historic US 66 was a part of. 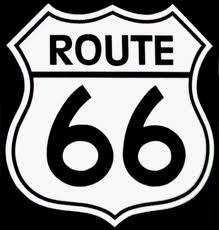 By 1937, Route 66 was completely paved from the city of Chicago, Illinois to Santa Monica, California. This famous route was really the major pathway for the migrants who moved west. There were an estimated 210,000 people who migrated to California in order to escape the despair of the Dust Bowl. Certainly in the minds of those who endured that particularly painful experience, and in the view of generations of children to whom they recounted their story, Route 66 symbolized the "road to opportunity." From the early 1930's until its completion, thousands of unemployed young males landed themselves a job as they performed hard labor, known as the "road gangs." The men and women of wartime made good use of the historic US 66. Thousands of the military gladly accepted their training orders in Texas, Oklahoma, the desert southwest or the coast. Many of these soldiers were able to permanently trade in those bitterly cold winters where they came from, to a much warmer climate. The road certainly helped this become possible as it was very accessible for them to be able to relocate. At least it made it easier to go back and visit, anyway! Wartime was tough though. Many problems with Route 66 were synonymous with war. It was during the war when the production of automobiles halted and when the rationing of gasoline began. This affected it, as not only were autos not being produced, but the obvious, tires, were not being produced. It was a vital factor though for those especially in the war. Route 66 was necessary to transport supplies, troops and other items necessary for war operation. Route 66 was fast becoming worn out. All of the military traffic and heavy usage by all was in need of renovation. The traffic was not coming to a "screaming halt," though with the creation of war industry jobs. Most of these newly created jobs were in California, though, which obviously meant more people would be utilizing the historic US 66 to get there. Following the war, the highway just could not accommodate the traffic as it was too narrow for the car designs of the post-war era. President Eisenhower instituted the National Interstate Highway System in 1957 as he saw fit. It underwent many improvements that were much needed. There was also a realignment that took place which meant that its overall length changed. One of the realignments moved Route 66 from the western Los Angeles to Santa Monica. Some believe that Route 66 made its way all the way to the ocean, which is just not true. The end of it is what is known as the intersection of Olympic Boulevard and Lincoln Boulevard, known as California's State Route 1. Slowly, but surely, the highway was beginning to see the curtain close. On October 13, 1984, Interstate 40 was officially opened. The small town of Williams, Arizona had the distinction of being the last town bypassed by the Interstate. US 66 was quietly decertified, and the familiar highway markers came down with its existence, at least in terms of functionality. Highway 66 was officially removed from the United States Highway System on June 27, 1985, which meant it was taken out of service after it was decided Route 66 was no longer useful. It was (to many) sadly replaced by another Interstate Highway System. With the passing of the US 66, the memory of the legendary highway was kept alive by many. 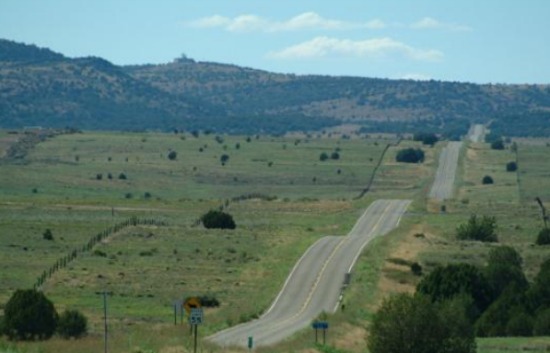 There are portions of the road that passed through Illinois, New Mexico, and Arizona that have been designated as a National Scenic Byway of the name "Historic Route 66". As I said earlier, there is also a song dedicated to this famous highway. Those responsible for the making of this such song are emigrant Robert William Troup, Jr., of Harrisburg, Pennsylvania, Bobby Troup, former pianist with the Tommy Dorsey band who was an ex-Marine captain. They came up with the song which still lives on with the legend of US 66. The popular song was released in 1946 by Nat King Cole, just one week after one of the songs writers, Troup, arrived in Los Angeles. In February of 1987, the Historic Route 66 Association of Arizona was formed. This association of Arizona, a non-profit corporation, was dedicated in order to preserve, promote and also protect the surface and hopefully the memories of the Mother Road. This small group of people from the Arizona Route 66 communities felt it was only appropriate to create such a group. The group was started out with leaders Angel Delgadillo of Seligman, and Jerry Richard and David Wesson, both of Kingman, Arizona. Several months later, in November, 1987, the State of Arizona dedicated US 66 from Seligman to Kingman as "Historic Route 66." The historic route designation was later bestowed upon all of Arizona's Route 66. And, Seligman, Arizona is the beginning of the original 165 mile stretch of Historic Route 66, and also known as the birthplace of the historic route. If you would like more information about Arizona's association, you can log onto www.azrt66.com If you would like to become a member, it will only cost you $20 if you are U.S. citizen. Once you are a member, you will receive a quarterly newsletter, US 66 News, which will keep you up to date on current activities, and various interesting articles concerning the famous US 66. Members also receive membership cards, bumper stickers, certificate, and a decal showing your dedication to the worlds most famous roads, and perhaps the most important one, too, known Route 66. Today, there are no longer 2,448 miles left of the route. You will still find, however, over 200 miles of the original US 66 that remains here in Arizona today. You will still be able to enjoy the sights and attractions along the way. Fortunately, many of these attractions look as great today as they did back then. The western section of the old Route 66, from Ash Fork to Topock is actually the longest continuous stretch of the old "Mother Road" left here in the United States. Not surprising that this stretch of highway attracts people from all over the country, not to mention other countries, too! People are able to really experience it the way that it "used to be." Although you will not be able to drive Route 66 without any interruptions from Chicago to Los Angeles, I was surprised to learn that more than 80 percent of the original Route and alternate alignments are actually still drivable, if you plan out your route ahead of time with special attention. The Wikipedia Encyclopedia notes that there are quite a few stretches of it that are well preserved. One of the areas that is well preserved is one between Springfield, Missouri, and Tulsa, Oklahoma. I was also happy to learn that Arizona takes top honors for the longest stretch of Route 66 that is still in use today! In addition, some states have kept the US 66 designation for parts of the highway, noting them as state roads. In Missouri, Routes 366, 266, and 66 are all original sections of the highway. State Highway 66 in Oklahoma still exists as the alternate "free" route near its turnpikes. You can also still check out Holbrook's Wigwam Village, the The Jackrabbit Trading Post, Meteor Crater, the pine trees of Flagstaff, and Williams' historic downtown area, just to name a few of the historic routes high points. Do you remember the Eagles tune, "Take It Easy?" Sure you do. You will also be able to see Winslow, Arizonas' famous corner, as it was noted in this Eagles song. Want more US 66 attractions? Added to the list of this historic route of Arizona attractions are Seligman's old Harvey House, Ash Fork's Settler's Cemetery, the Hualapai Indian Reservation, Aubrey Cliffs, Grand Canyon Caverns, historic Kingman, the "Old West" gunfighters of Oatman and also the desert terrain of Topock/Golden Shores on the Colorado River. This creation was more than just a highway in the U.S. Highway system. It was a legend and still is. It will not be forgotten and there will always be those who will keep the memories alive. It may have been shortened in length, but that has not shortened the memories of what the famous highway has meant to so many people! There are many points of interest through the entire remaining sections. So many landmarks that many people still relate to. Back then, it was a new era that came to life...one that many experienced on such an emotional level following the war. By the time postwar occurred, Americans were ready to get out and explore. And what a better way to do it in their automobile! Many motorists hit this famous US highway back in the 1960's. But too much of a good thing caught up with the entire stretch of roadway. Excessive truck use during the World War II, compounded with the excitement of the reclaimed auto industry following the war, took its toll on the Mother Road. The national highway system deteriorated greatly and was no longer able to sustain itself. This was a very sad time for everyone. Still today, though, the road also known as Mainstreet of America, may have taken a back seat to Interstate 40, but it is definitely not forgotten and never will be. There is far too much support for the roads memories to simply be forgotten. Truckers, military personnel, small business owners, mom and pop store owners, gas stations, motels....the list goes on and on. There was so much life and existence from this famous pavement. It's funny when you think about it. Who would have thought that a road would have such an impact on life, economy, ones good fortunes, love, future, etc? Truly a remarkable story, wouldn't you agree? Long after anyone personally remembers this historic highway, there will likely be those who followed their parents, grandparents, or any other relatives footsteps to keep the drive alive! Long live the road and its fond memories, good and bad.